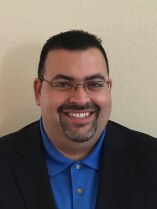 Joseph is a former lieutenant in the Israeli Defense Forces (IDF) and has more than 17 years of leadership experience in the software industry, 12 of which were working for publicly traded companies such as GameStop, Retalix (NCR) and JCPenney. Joseph began his real estate investing back in 2005, when he purchased his first investment property in Israel. Fast forward to early 2015, which is when Joseph began his multifamily journey with the successful acquisition of a 22 unit multifamily property in Celina Texas. In 2017, Joseph led the successful acquisition of a 130 unit two property portfolio in Lubbock Texas and have been serving as the asset manager for all three communities ever since. Joseph’s long term goal is to reach a critical mass of 1,500 doors under ownership/management within the next few years, which it seems he is well on his way to hitting.